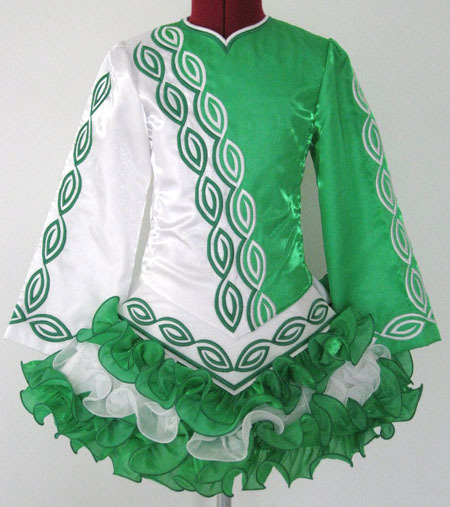 Dropped waist at seam: 27"
Centre front neck to dropped waist: 15¼"
Centre front dropped waist to hem: 7½"
Centre back neck to dropped waist: 14½"
Total back length (top of zipper to hem): 24½"
Half emerald green twinkle satin, half white twinkle satin bodice and sleeves with white and emerald asymmetrical embroidery design. 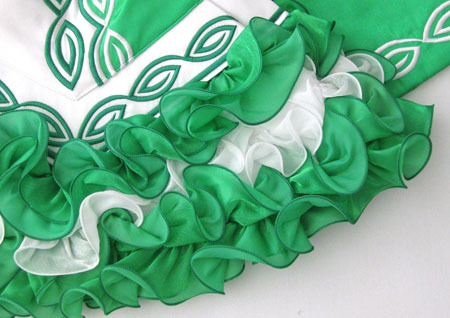 Adorable cupcake skirt ruffles constructed from white and emerald green twinkle satin with tone-on-tone trim. 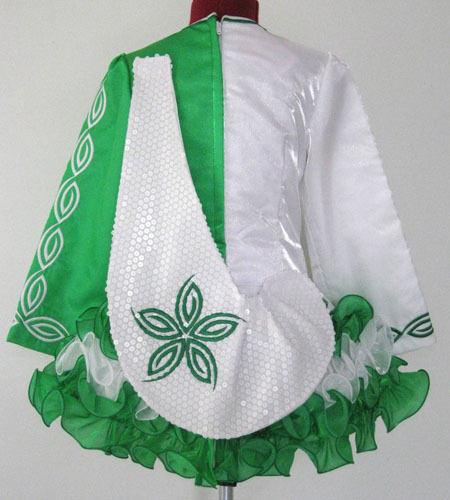 Soft style shawl constructed from sparkly white sequin with matching emerald green embroidery. Green and white polka dot skirt lining.